Top row (left to right): 1. Mr. Pruss, 2. Gary Brown, 3. Margaret Brengle, 4. Jan Allison, 5. Lucinda Skinner, 6. Rick Spencer, 7. Kathy Bireley, 8. Parke Whitney. Second row: 1. Don Loveless, 2. Janice Romp, 3. no picture, 4. no picture, 5. no picture, 6. no picture, 7. Malvern Jester, 8. Teri Lowe. Third row: 1. Richard Pine, 2. Paul Schmedding, 3. Linda Whiting, 4. Mickey Evans, 5. Sally Smith, 6. Arthur Tucker, 7. LaDean Hamond, 8. Mike Hanson. Fourth row: 1. no picture, 2. Helen Hampton, 3. no picture, 4. Janet Taylor, 5. Judy Mason, 6. no picture, 7. Brook Sower, 8. no picture. Fifth row: 1. Mark Benveniste, 2. no picture, 3. Dale Hodges, 4. no picture, 5. Jeannie Valentine, 6. Beatrice Severine, 7. no picture, 8. Dean Preftokis. Credits: From the collection of Sally Smith. The kids in the picture are members of the high school graduation class of 1967. To find other pictures of the class of 1967 in the archive, see Livermore class pictures listed by year of high school graduation. And if you have any pictures of the class of 1967 that you would like to share, please submit them to the Archive. 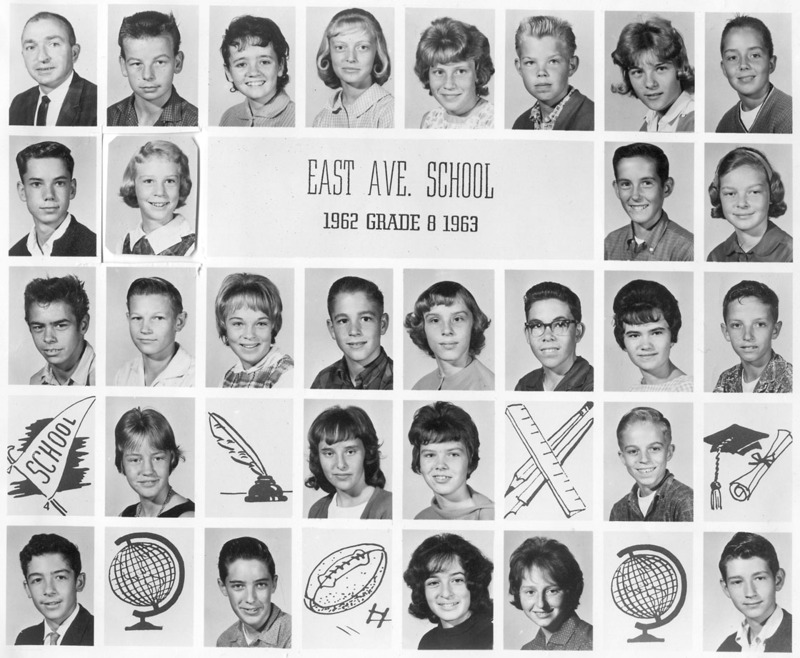 To find other pictures from East Avenue School in the archive, see Livermore class pictures listed by school. And if you have any pictures from East Avenue School that you would like to share, please submit them to the Archive.